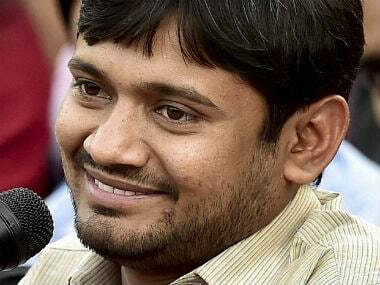 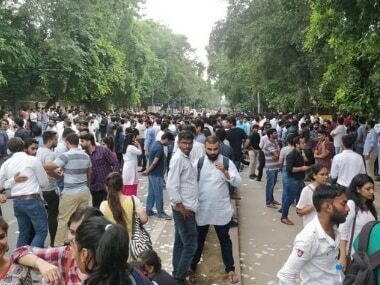 The JNU students' union president N Sai Balaji hit out at Defence Minister Nirmala Sitharaman for her statement alleging that there are forces in the varsity which are "waging a war" against India. 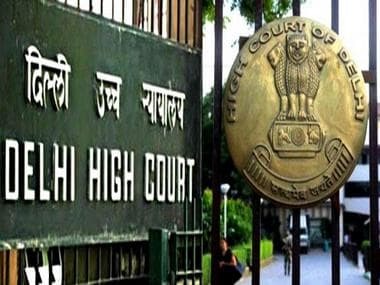 Alleging a series of attacks on its members, the RSS student wing, Akhil Bharatiya Vidyarthi Parishad's (ABVP) accused Left activists of curtailing their "freedom of expression"
A plea has been moved in the Delhi High Court on Monday challenging the Delhi University Students' Union (DUSU) election results. 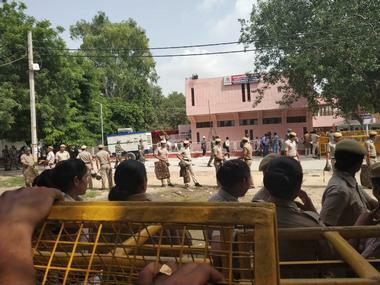 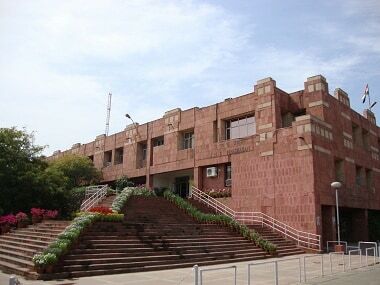 The counting process at JNU, which was suspended at 4 am, resumed at 6.30 pm after two teachers from the Grievance Redressal Cell were appointed as observers. 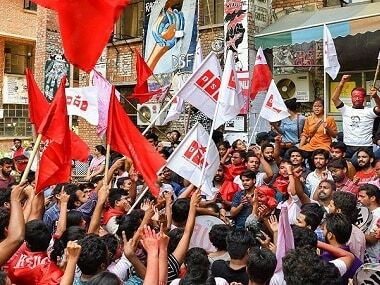 The statement came after the counting for DUSU polls was suspended midway on Thursday due to "faulty EVMs and the students' uproar over it". 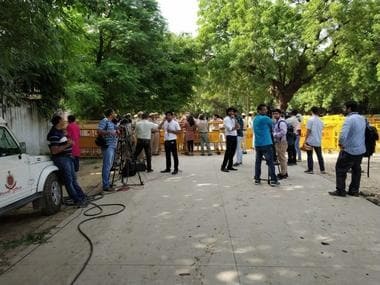 The counting was initially stopped for an hour when there were allegations of faulty EVMs. 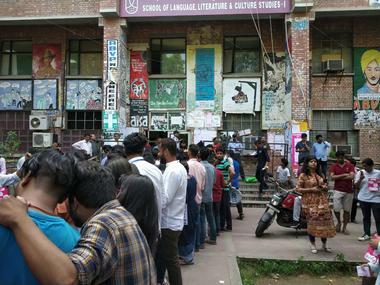 The AISA failed to win any of the four central panel posts in the Delhi University Students Union (DUSU).